Hello? You there? Please don’t put your arm around Dame Helen Mirren. I don’t care if you’re her friend or if you two have been “intimate” - just don’t do it! Why? 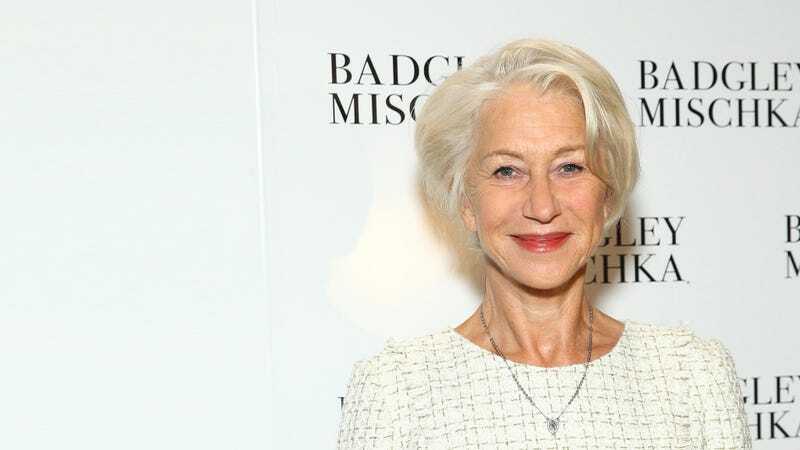 Because Mirren recently spoke with Daily Mail’s You Magazine about how much it irritates the hell out of her. And so, apparently, are men. Keep your arms away from the Dame’s damned shoulders! Justin Bieber went on Ellen Tuesday to discuss his forthcoming album, and when asked who his #1 single “What Do You Mean?” was written about, he looked Ellen straight in the eye and told her, “I wrote the song for women in general.” Can you believe that? He actually expects us to swallow that tripe!!! Maybe he’s signed some kind of agreement barring him from saying the words “Selena Gomez” on camera.